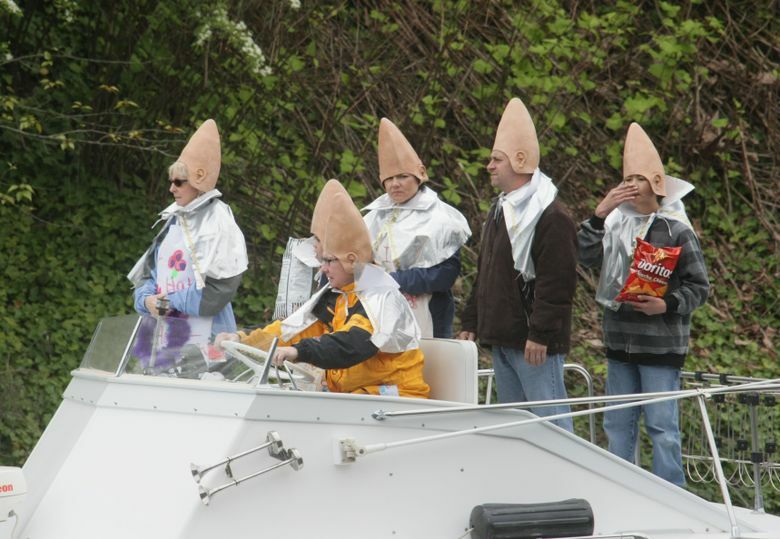 Opening Day of boating season is Seattle’s very own, hyped-up tradition that has included a floating Elvis head and the Coast Guard promising fines for boaters lobbing water balloons. Newcomers don’t know, for example, about J.P. Patches. There was no J.P. on kids’ shows in New York. And now we have Opening Day. 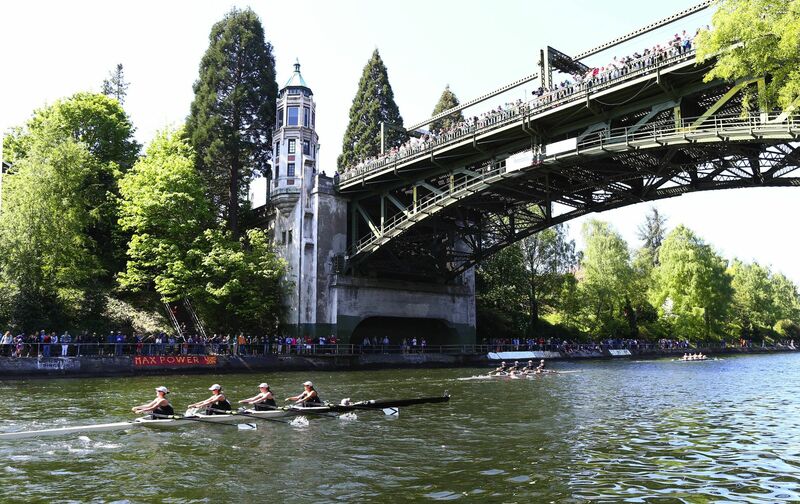 Opening Day of boating season means the Montlake Bridge closes to vehicle and foot traffic 10 a.m. to 4 p.m.
Also closed will be the Highway 520 ramps to and from Montlake. Real-time info: WSDOT traffic Twitter. Opening Day of what? Fishing season? Hasn’t baseball already started? Why is the traffic all messed up around the Eastlake neighborhood? Listen up for some facts that even locals might not know. 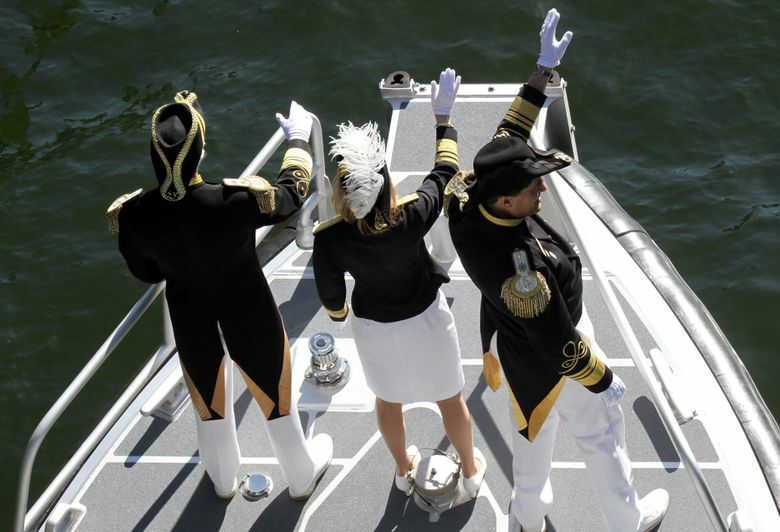 On Saturday, we’ll celebrate the 96th Opening Day of Boating Season, so, you know, we’re talking tradition here. 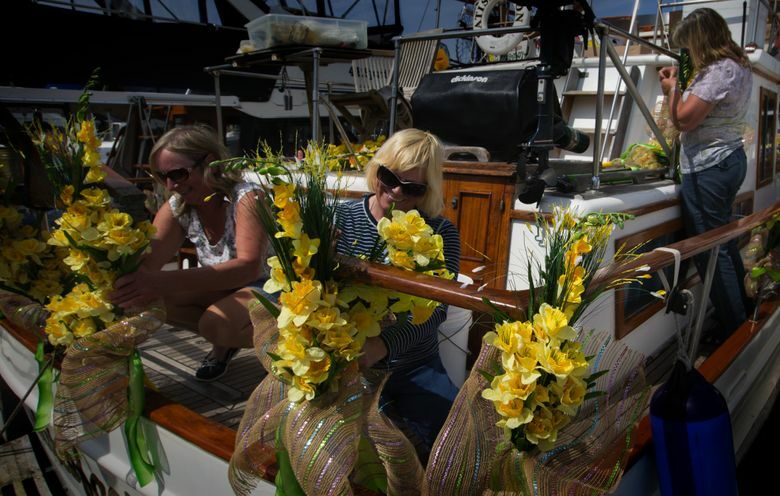 It’s always held on the first Saturday in May, a date chosen because the weather is getting nicer, but not so nice that boat owners are busy going out on cruises. 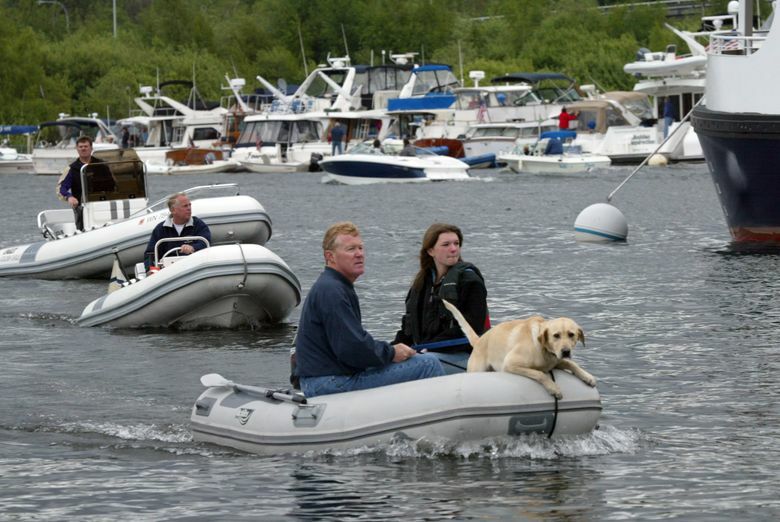 More than 200 boats, big and small, will congregate in Portage Bay, with a whole bunch more of them moored along a log boom. 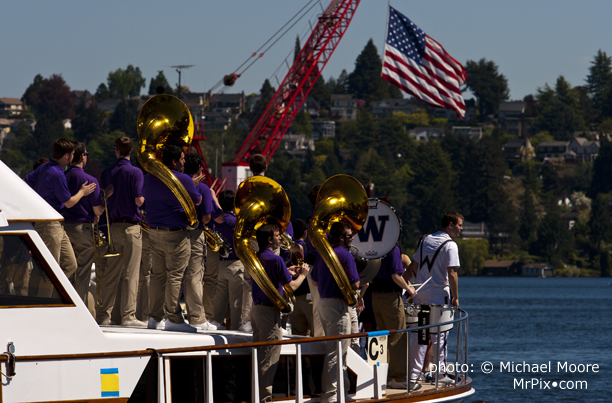 Then, they will parade slowly through the Montlake Cut. That’s pretty much it, other than the rowing competitions held earlier in the morning, featuring athletes in 1,000 times better shape than you’ll ever be. This city has forever been touting itself as the recreational boating capital of the nation, sometimes even the world. This event is part of that publicity. The reality is that Washington state is No. 19 nationally, according to the National Marine Manufacturers Association and its 2014 registration data. No. 1 is Florida. And Opening Day officials always boast that thousands upon thousands gawk at all the boats they can’t afford. But just how many thousands? 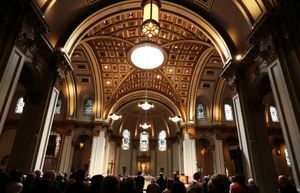 While the published attendance has been estimated as high as 250,000 (Seattle Times, 1992), it’s also been 40,000 — and as low as 4,500. Interestingly, there is never an attribution to the estimates. The Seattle Yacht Club, sponsor of the event, says the numbers are not from them. The Seattle Police Harbor Patrol says they don’t provide them, either. 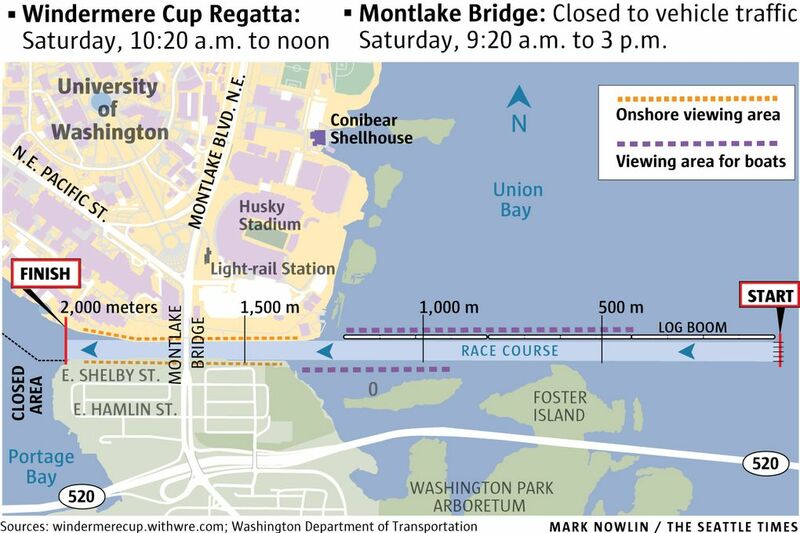 Just remember, Seattle is the town that touted 500,000 attendance for the 1958 Gold Cup hydro race on Lake Washington. That would have meant that out of every man, woman and child in the county, half were at the lake. Hmmm. That means a mainstream kind of wild. The black-clad May Day anarchists of present times are actually an anomaly. 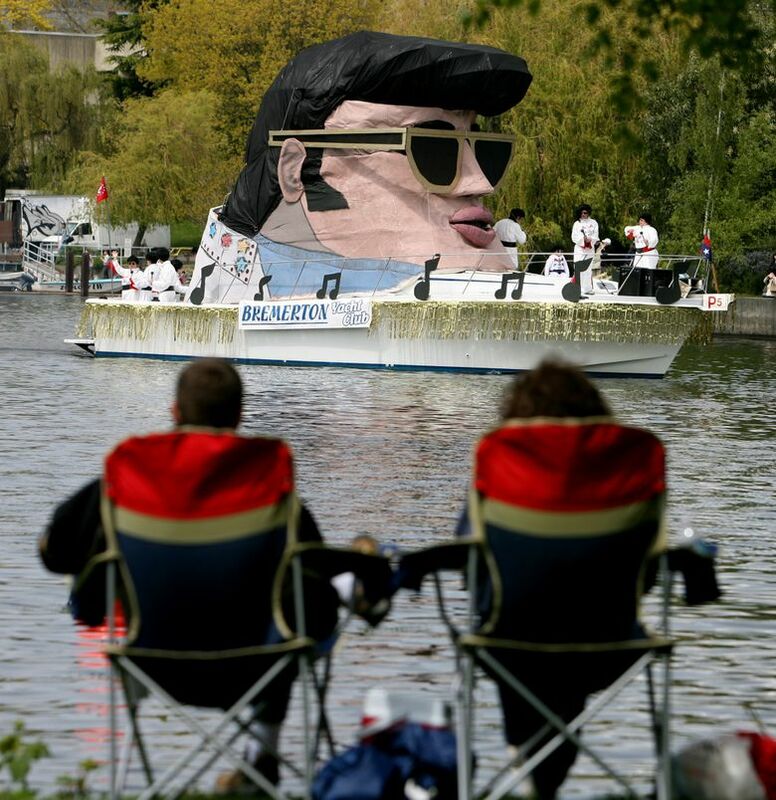 Wild in Seattle is like the Opening Day parade in 2007, when a giant floating Elvis head won a prize as best-decorated vessel. The head was 22 feet high and 11 feet wide, created by Don Hardgrove, a Seattle police detective. He crafted it out of PVC pipe, heavy-duty canvas and chicken wire. 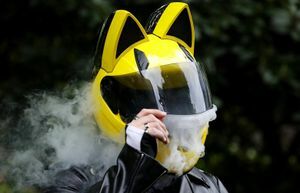 The hair and 15-foot sunglasses were made from black synthetic weed-blocker fabric. The lips were foam. The lips moved and eyebrows arched. During the parade, 15 of Hardgrove’s friends dressed in Elvis costumes and made his patented stage moves. 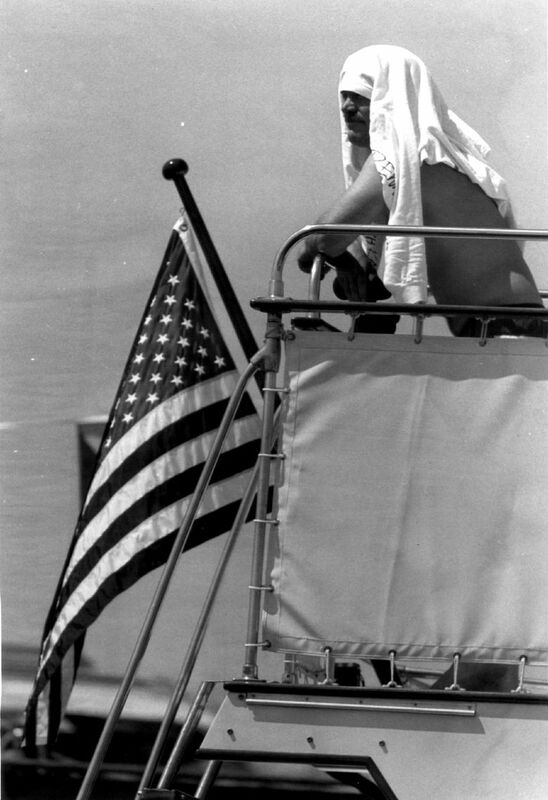 Until the mid-1970s, anybody who showed up in a boat, big or small, could be in the parade. 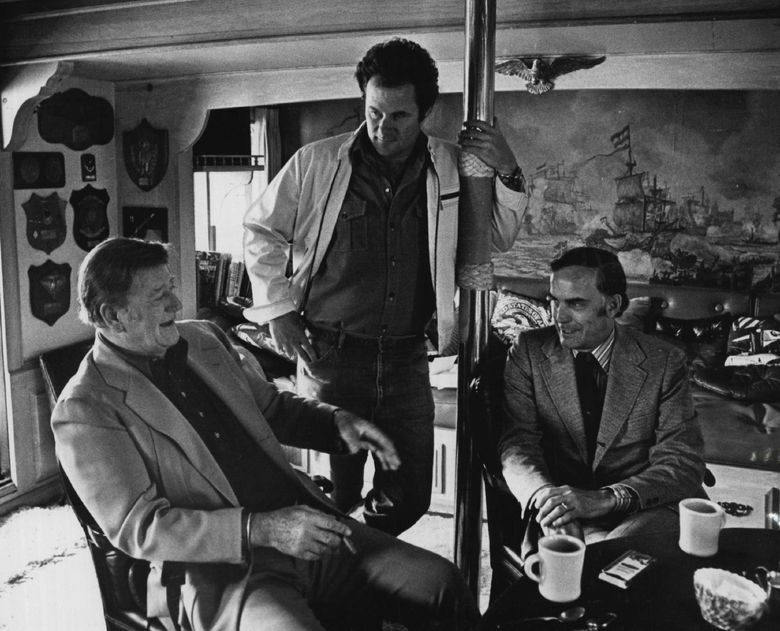 The Coast Guard cracked down, says Michele Shaw, who’s writing the Seattle Yacht Club’s history. “There were 1,000 boats, and everybody went through en masse. We started giving out numbers,” she says. The Coast Guard also issued warnings about “those launching water balloons during the parade,” saying it wasn’t fooling around, threatening $2,500 fines and imprisonment. In 1977, one boat owner was reported to have shot water balloons “with a fairly elaborate launcher” and doused people with “bilge-pump operated hoses.” A parade director was reportedly hit with a water balloon. This year, a bit over 200 boats have been registered. And, certainly, the parade won’t be anything like it was in 1895, when the yacht club decided a sham naval battle would be just keen. The plan was for a “monitor,” a small warship, to be blown up when Roman candles were fired at it. Unfortunately, or perhaps luckily, the wind blew out the candles. 4. Is it going to be a party day? An important question for certain event aficionados. Opening Day is not like the hydro races in the summer, says Lt. 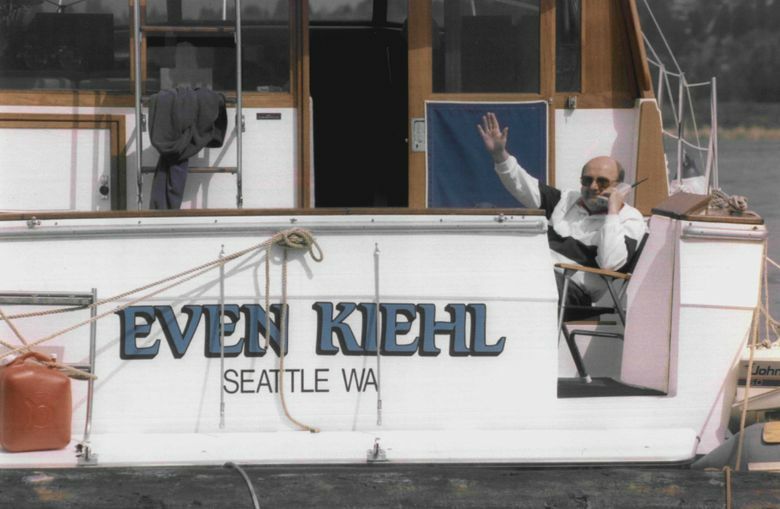 Von Levandowski of the Seattle Police Harbor Patrol. “We get a lot more teens, early 20s for the hydros,” he says, about why the latter event is party time. For Opening Day, says Levandowski, you’ve got a “slightly older” crowd, many of whom probably go home afterward for a nap. Also, says Levandowski, a lot of times it’s cold at the beginning of May, and sometimes rainy. Definite party quenchers. The forecast for Saturday, however, is 78 and sunny. The yacht club’s historic two-story wood clubhouse has been described as a “Colonial Revival,” with its genteel appearance. The white slacks or white skirts and blue blazers that event officials wear add to the rarefied air. True, you won’t find Bill Gates, Howard Schultz or Jeff Bezos on the club’s membership roster. Historian Shaw thinks that maybe they just don’t want to deal with security problems that come for the superrich. But you will find plenty of lawyers, investor-types and smaller-company owners among the club’s 2,500 members. Want to join? It’s by invitation only. If you’re 46 and over, the initiation fee is $10,000 (time payments accepted). In an effort to attract younger members, the fee for those 24-30 is $1,000; 31-35, $2,000. The club is, in its way, changing with the times. 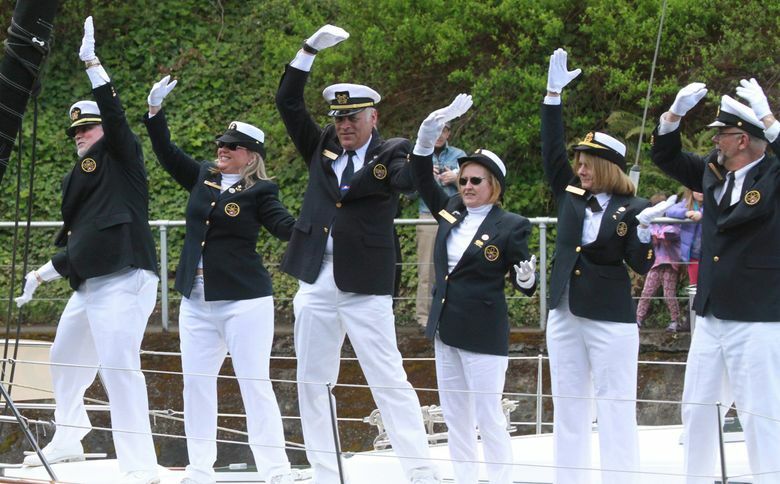 Next year, for the first time, it’ll be led by a woman commodore. 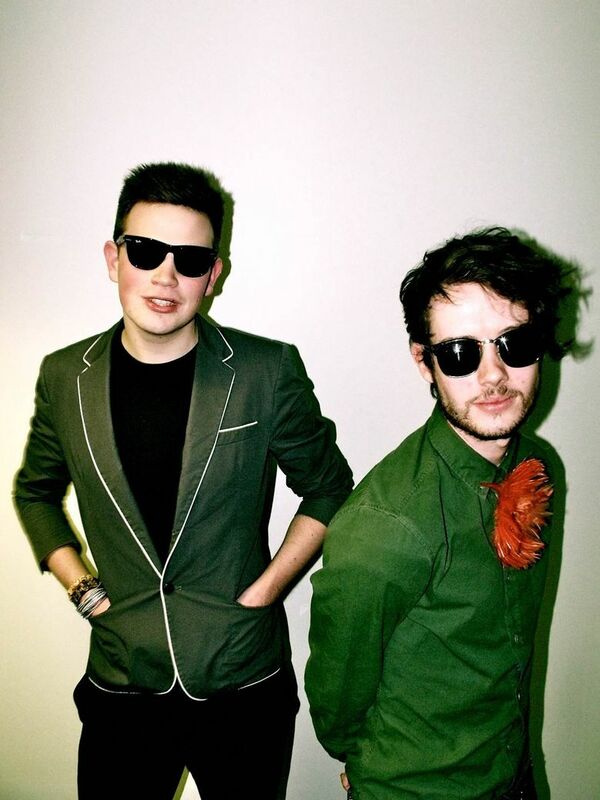 It’s so retro-hip that a couple of young guys from Southport, England, decided to name their electro-pop band “Seattle Yacht Club.” The club doesn’t mind. The band got the attention of Seattle Sounders fans, and now its music gets played at halftime during home matches. A couple of Seattle radio stations have also picked up its tunes. One of the band members, Tom Dale, 24, said they came upon “Seattle Yacht Club” in one of those serendipitous moments when they were poking around the Internet for inspiration. At last year’s Opening Day, the Harbor Patrol issued no DUI-related tickets. For that, you gotta wait for the hydros, another tradition we’ll have to explain.